Make This Easy And Beautiful Fall Wheel Wreath To Spruce Up Your Front Door, Entryway, Or Indoors To Welcome Autumn Visitors! 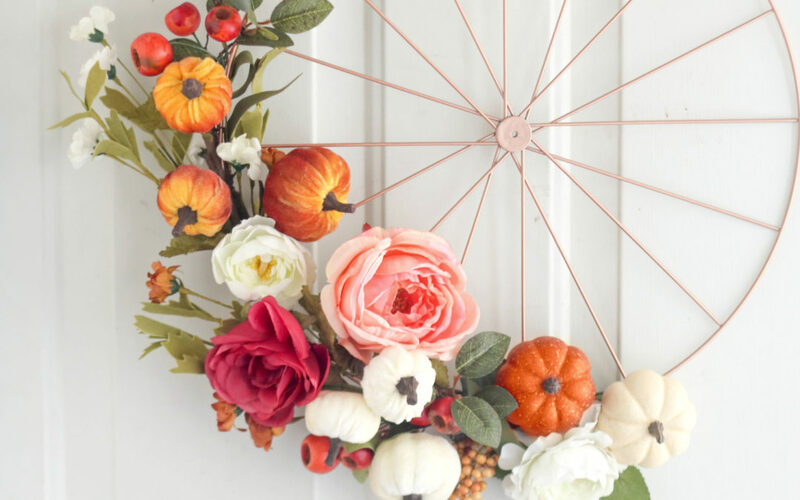 With Just A Handful Of Fall Accessories + Craft Supplies, Transform A Metal Wheel (Or Painted Bicycle Rim!) In No Time At All, So Pretty!